Congratulations on your brand new Windows or macOS laptop—we hope you enjoy it! You’ll want to dive in and start using it as soon as you can, of course, but there are just a few housekeeping chores to take care of first. Here’s how to get up and running as quickly as possible while ensuring your new computer stays secure and stable. You’re probably not going to get very far through the setup process before you get asked to connect to wi-fi, so have the details close to hand and enter them as soon as you can. Remember, even as you fill out other screens in the setup process, Windows and macOS can be downloading updates in the background. As soon as you get the chance to install updates, take it. This might be the most time-consuming part of the process, depending on how many patches have been released since your machine left the factory, but if you put it off, this step is only going to interrupt something else. Ideally, you want all the latest security patches installed and enabled before you do anything else, which is why you need to bite the bullet and choose to install every update when prompted, no matter how many there are nor how long it takes. Now might be a good time to go and do something else. In the case of Windows 10 and macOS High Sierra, you should get asked to check for and download updates before you actually get into the OS itself. If you need to download updates later, head to Settings then Update & security and Windows Update in Windows, or the App Store in the macOS dock (you’ll also need to do this if your laptop reseller has done some of the setup for you). Slowly but surely, Apple and Microsoft have wised up to the fact that having one single login tied to a cloud account is actually a pretty sensible way of letting its users jump from device to device. That means, if you’ve got an existing Microsoft or Apple ID, a lot of your stuff comes along with you to your new laptop. Windows asks you to sign in pretty much straight away after downloading the latest version of the OS. If you choose to proceed with a Microsoft account, all of your OneDrive data and your Microsoft email messages will start to be synced, for example. If you’ve been using your Microsoft ID on another machine, personalized touches like your desktop wallpaper get moved across, too. Over on macOS, you will get asked to enter (or set up) an Apple ID before you can do anything on your new laptop. If you’ve been using your Apple ID and iCloud in the past, all your settings, photos, documents, and other data will gradually get pulled back down from your most recent backup and stored locally where appropriate. To double-check that everything’s working correctly, you can head to Settings then Accounts then Email & app accounts on Windows. On macOS, go to System Preferences from the Apple menu and choose iCloud. You really don’t want to be wandering around on the web (or really doing anything) with your new laptop without some decent security software installed. Fortunately, this is another area where Apple and Microsoft both now have you covered. Windows will deploy Windows Defender by default to keep unwanted visitors out of your new laptop, and you need to actively install a different antivirus program to disable it. Provided you use some common sense in terms of how you use your computer and what you run on it, Windows Defender should offer adequate protection, but if you want to pay for a third-party solution, there are many different packages to pick from. The debate about whether you need third-party antivirus for macOS continues to rumble on, but it’s clear that macOS is very tightly locked down right out of the box, and many users get by just fine without installing anything extra. If you do feel you need an extra antivirus solution for macOS, there’s a wide choice of paid-for packages out there as well. Whether you’re using Windows or macOS, this isn’t something you have to deal with right away in the setup process—you can leave the default protections in place and come back to add more at a later stage, if necessary. If you’ve got a ton of files and data in the cloud in a service like Dropbox or Google Drive, now is the time to download the client apps and sign into your account. Once your credentials have been verified, your files begin downloading, which can take a few minutes to a few hours depending on how much data you’re storing online and the speed of your wi-fi. With all this downloading going on—updates, cloud data, and so on—it’s a good idea to monitor what’s happening elsewhere in the household. If you can put the brakes on any Netflix binge-watching or iTunes downloading until the set-up process is finished, you’re going to be up and running on your new laptop more quickly. If the files you need to have on your new laptop are stored on an external hard drive another laptop or desktop, it’s actually much quicker to manually copy over all the files using the external drive rather than waiting for them to download from Dropbox or another cloud-storage provider. Do this before you install the desktop clients. Then, when you do set those clients up, point them towards the folders you’ve copied over. The software should recognize that all of your files are present and correct in just a few minutes, saving you having to download everything from scratch from the cloud. If you’re a seasoned Microsoft Edge or Apple Safari user, good news: Your browser of choice is ready and waiting for you on your new laptop. 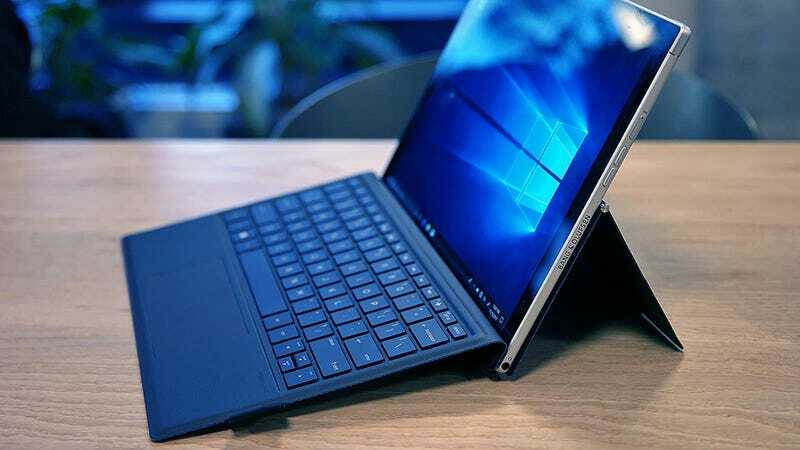 If you’ve also signed into the operating system itself with your Microsoft or Apple ID, then you should find all of your passwords, online history, and other browsing data synced on your new laptop for you. Otherwise, head to the download page of your browser of choice and install it. Once you sign in with a relevant ID (like one for Google Chrome or Mozilla Firefox), all your bookmarks, passwords, and other browsing data should be available almost immediately. You’ll feel right at home, as far as web use goes. You can now start to relax—your laptop is just about ready to go now. The final stage is to download and install all the other applications you rely on, whether that’s iTunes for your media or Photoshop for your image editing. If you’re on Windows, you might want to remove some of the bloatware that’s possibly been left around by your laptop’s manufacturer—your computer and its performance levels will thank you for doing so. To see a list of installed programs, and to get rid of any you think you can do without, go to Settings then Apps from the Start menu. With all that done, you can log in to Netflix, grab a snack, and let the binge-watching commence—because, let’s be honest, that’s all you really wanted to do anyway.